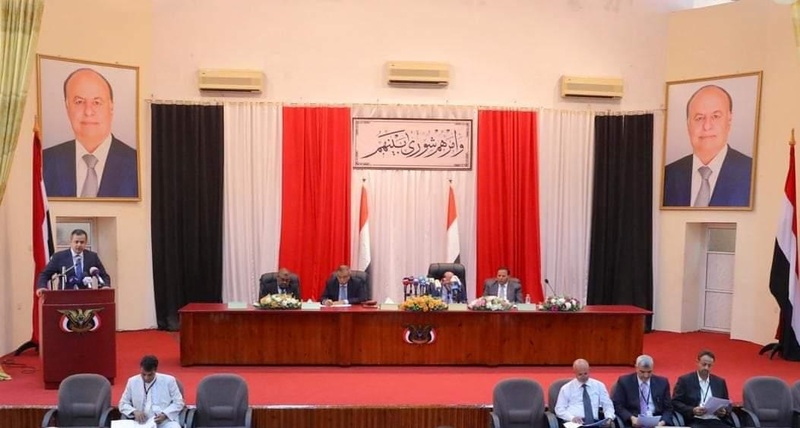 The Yemeni Parliament Tuesday session decided to refer a draft law, classifying Houthis as "terrorist group", to a special committee for review and return, in preparation for final adoption. At their closing session of the 4-day extraordinary meeting in Seyoun, the Yemeni lawmakers underscored the importance of "rescuing Yemen from the Iranian-backed Houthi militias" and of the three terms of reference as only basis for political solution. All measures issued by Houthis in areas under their control are null and void, said the Parliament in a statement, calling on Yemenis in those areas to "confront the rebels." The Parliament first session Saturday saw the largest gathering for Yemeni legislators, government officials and military leaders since the Houthi takeover of capital Sana'a and the conflict that has escalated after a Saudi-led coalition intervened militarily in the country in March 2015. On their part, the Houthis dismissed the Parliament meeting as unrecognized and participation as "gross treason, threatening MPs of property confiscation. Yemeni is the eldest parliament. Its 301 members were elected in 2003, but their loyalty is currently divided into Hadi and Houthi. The internationally-recognized Saudi-backed government has been fighting a war against the Houthis since 2015, after the rebels had ousted the official government late in 2014. The Parliament statement condemned Houthi repeated attacks on sacred places inside Saudi territory, accusing the group of sectarianism, and called on the international community to support legitimacy and pressure Houthis into applying Stockholm Agreement. Saudi Patriot-equipped and Yemeni presidential guard forces arrived on 6 April in Seyoun to secure the Yemeni legislature first session under legitimacy since war started in March 2015. On the 21st of last February, the Yemeni government called the US to classify and deal with Houthis as terrorist group. Information Minister Moammar al-Eryani told the US Ambassador Matthew Tueller that the Houthi group "committed all crimes against Yemenis" and their crimes "amount to genocide." Yemen 4-year war has pushed the country to the world's worst humanitarian crisis, according to the UN.